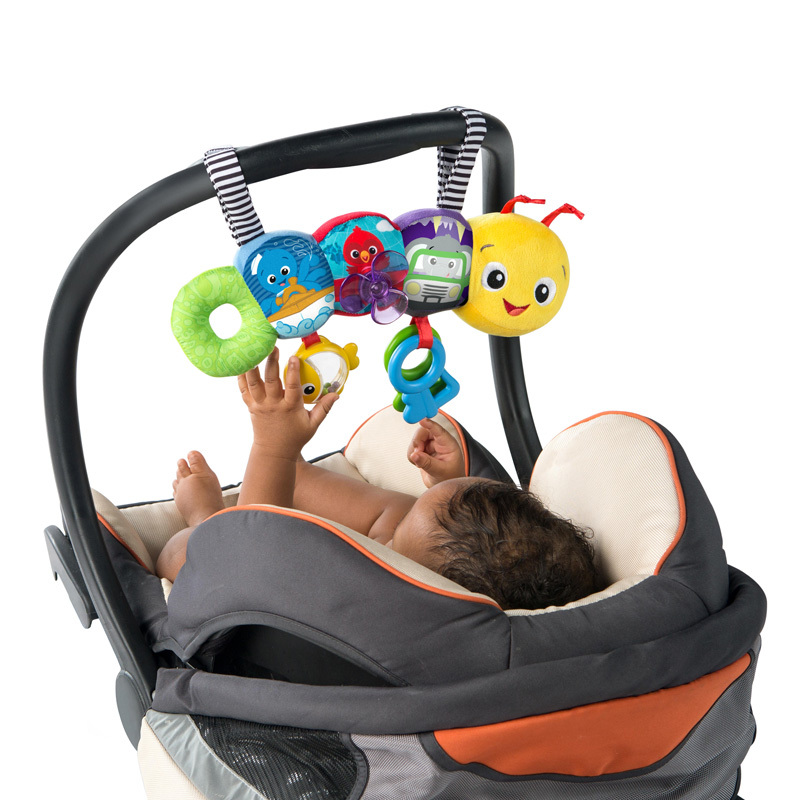 Great minds start little.™ This soft, interactive caterpillar is the perfect companion for any way you travel! The Travel-pillar Discovery Toy Bar™ by Baby Einstein™ entertains baby on-the-go with 8 classical melodies. Introduce baby to cause-and-effect play through 3 different activities. 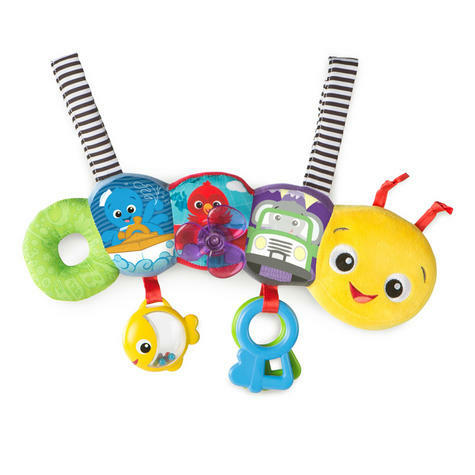 Engage baby’s sense of sound with the fish rattle filled with colorful rattle beads, the clacking keys, and ratcheting propeller. The fabric straps attach easily to most carriers, play gyms, strollers, diaper bags and more! 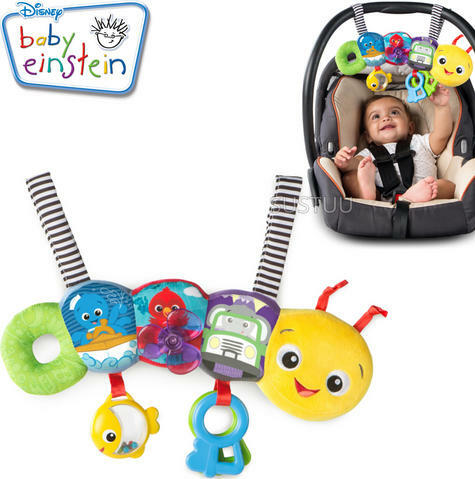 Recommended for newborns and up. 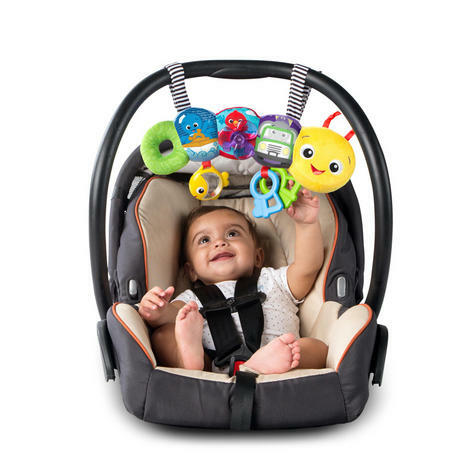 Can be attached to most carriers, play gyms, strollers,diaper bags and more!